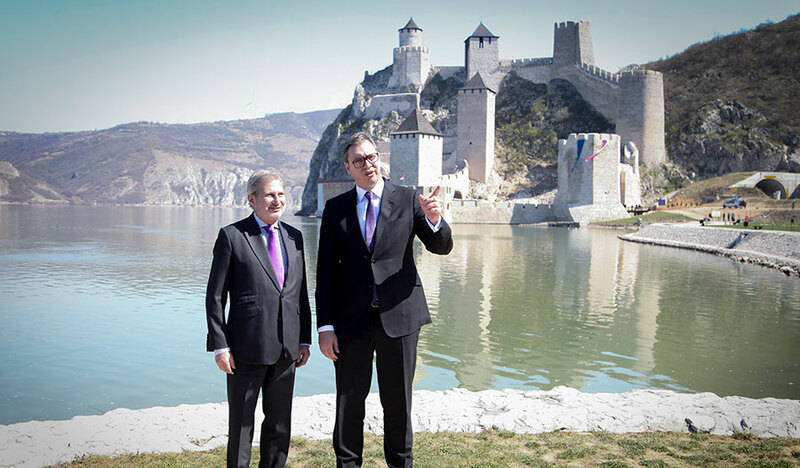 European Commissioner for Neighbourhood Policy and Enlargement Negotiations Johannes Hahn and Serbian President Aleksandar Vucic attended today the official inauguration of the reconstructed Golubac Fortress. The reconstruction of this historical structure, which is considered one of the most beautiful on the banks of the Danube, lasted for five years and was carried out thanks to an EU investment of over EUR8 million. 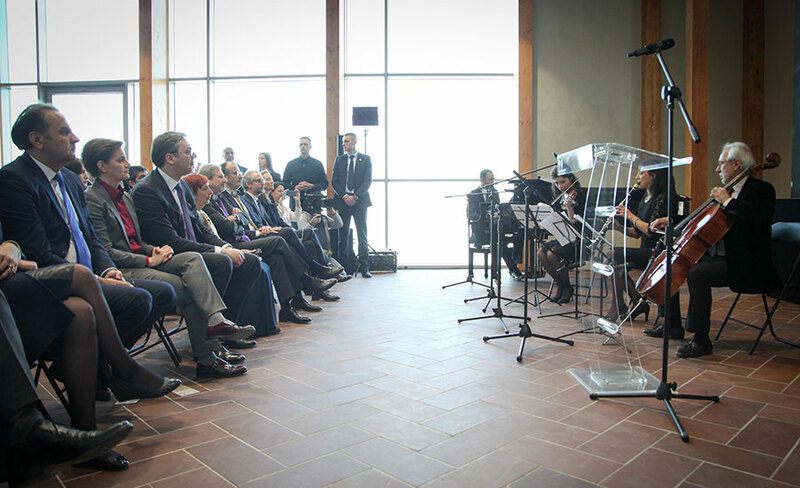 Today we celebrate a good investment in cultural heritage, not only to portray the events of the times gone by, but to create new opportunities for the development of economy and employment, Commissioner Hahn said, adding that such a course of action would drive more people to stay in and around Golubac. “This is our common heritage, Europe at its best, without borders. We should all be proud. The Fortress will serve as a new foundation for the development of this region and a witness to genuine cooperation between different parts of Europe,“ the Commissioner said. “United in diversity“ is one of the European slogans, Hahn reminded, adding that the entire European project is a celebration of peace and stability, as one of the symbols of conflict and war was turned into a symbol of peace. Serbian President also said he was happy about the reconstruction. He noted he is grateful to both the European Union and Austria, but also to Commissioner Hahn personally for everything they’ve done to get the reconstruction through. 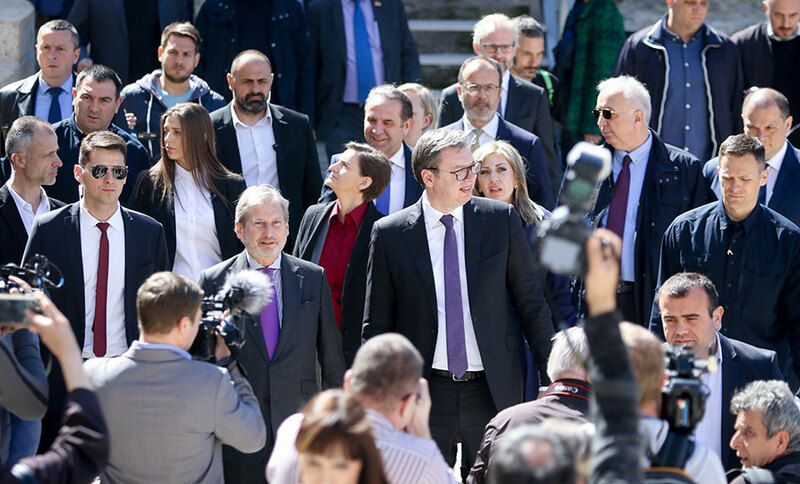 Everything we’ve done here is just a first step; infrastructure needs further work and I believe that, with your help and support, we will be able to take the development of this part of Serbia to the next level, President Vucic said. “Golubac, which has been reconstructed thanks to our European friends, is an emblem of the hidden beauty of Serbia. This entire part of Serbia is one of Serbia’s biggest treasures with countless amazing opportunities and zero excuses not to seize them,“ Serbian President said. The attendees were addressed by Head of the EU Delegation to Serbia Ambassador Sem Fabrizi and Ambassador of Austria Nikolaus Lutterotti. Lutterotti said that Golubac is a rising star of tourism in Serbia, adding that he hopes the Danube will soon cease to be an external EU border and that Austria and Serbia will together be part of the Union. The reconstruction and fitting out of the Golubac Fortress, a 14th century cultural and historical monument, kicked off in September 2014. Apart from the reconstruction, the project included an extensive archaeological research, which led to new discoveries that will complement the existing knowledge about the history of this medieval fort. The reconstruction was overseen by the Republic Institute for the Protection of Cultural Monuments in Belgrade, while the entire project was coordinated by the Austrian Development Agency. Even during the reconstruction, the Golubac Fortress caught the attention of tourists from around the world, attracting around 65,000 and 86,000 visitors in 2017 and 2018, respectively. Large river cruisers with visitors from around the world regularly drop their anchors at the dock in the vicinity of Fortress. In 2019, 80 cruisers will arrive at the dock. The Fortress will be open to visitors as of next Saturday.